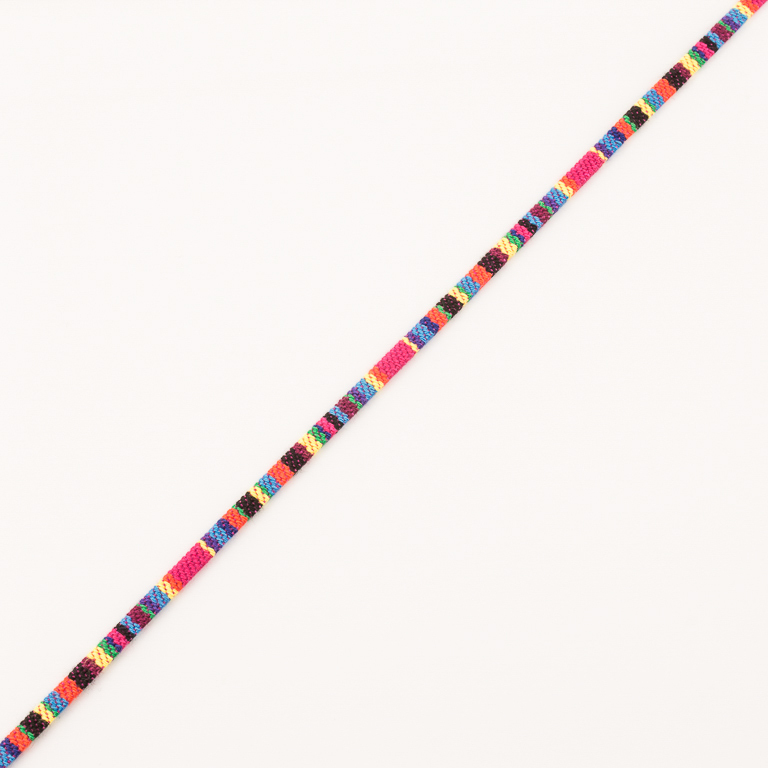 Ethnic flat cord in fuchsia, yellow, green, orange, blue, light blue and purple colour. The width of the cord is 5mm. Its price is set per meter. Ideal for crafting bracelets, necklaces and sandals.